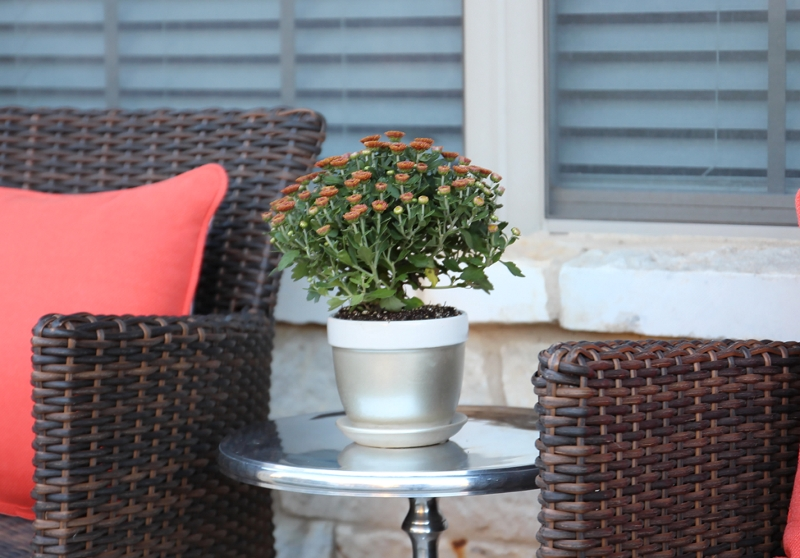 Prepare your pot to be spray painted by ensuring that it is free of any dirt, dust, or debris. Tape off any areas of the pot where paint should not be applied. After reading can label for proper application and safety instructions, apply Krylon® Spray'n Peel in Aztec Gold Metallic. For best results, apply one quick, light coat, followed by four to five heavier coats, allowing the paint to dry for five minutes in between each coat. Allow time to completely dry before use.